Sony is recognized for many of its entertainment devices. Much of this admiration however, is directed at its Bravia line of televisions. What most people don’t know is that some of the best audio devices in the market today are from Sony. If there’s any doubt to Sony’s powerful audio offerings, hearing the HT-Z9F soundbar at work would put those to rest. 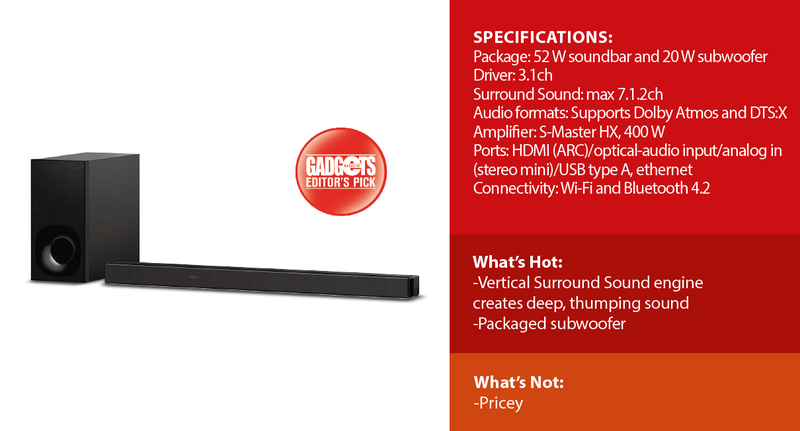 The HT-Z9F is a sleek sound bar designed to complement the modern home. There is not much to be said about the HT-Z9F’s appearance. It is a single bar with three parallel tweeters and a display up front. While the soundbar looks bare, a magnet-attached grille frame that comes with the package can be easily mounted to cover the speaker drivers and keep dirt and other elements from compromising audio quality. It also adds to the device’s polished look. The top of the bar contains capacitive touch keys for switching it on or off, pairing it with a Bluetooth-enabled device, adjusting volume, and a couple of other functions. Its back is mainly occupied by screws and vents, as well as numerous ports; just your normal soundbar affair. The subwoofer that comes with the soundbar looks as straightforward as it can get, with a front woofer and LED status indicator. While the HT-Z9F may appear nondescript thus far in this review, putting it into action floored me, to say the least. We’ll get to more of that later. Let’s talk Sony technology. 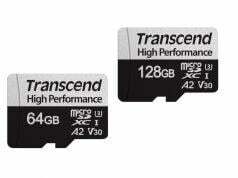 Sony is a company known for its quality, innovative technology and this is present throughout their portfolio. There’s the Acoustic Surface technology on their premium BRAVIA OLED TVs wherein sound powerfully vibrates from the screen. Meanwhile, the HT-Z9F has a Vertical Surround Engine, digitally emulating sound produced by ceiling-mounted- or upward firing speakers. This allows the device to produce full sound that surrounds and fills any room. And with its sizable subwoofer, consumers are in for a treat. The HT-Z9F supports 4K HDR, Dolby Vision, as well as DSEE HX which is a digital sound enhancement engine that upscales sound to the best possible quality. This soundbar is also Wi-Fi- and Bluetooth-compatible and comes built with Chromecast and can be controlled through Google Assistant or Alexa. One of the best selling points of soundbars is they are easy to set up. Most are compact, powerful one-piece audio devices you can place in front of the TV set or attached to a wall. This is also what makes this device great, and while it does have a separate woofer, that unit is wireless, keeping clutter down. Setting up only takes minutes. Take it out of the box, put it on the desired location, and connect to a TV, a smartphone, or a computer monitor. In our case, we connected it to a laptop, then to a monitor via HDMI. After we were done setting it up, we just powered it on and went on to watching movies. There is little going through menus or figuring out which cables to connect required. with which you can choose from different modes—auto, cinema, music, game, news, sports, and standard—as well as other controls. When paired with a phone via Bluetooth, you can stream music via Spotify Connect for more optimized sound. The Sony HT-Z9F has three front-firing speakers and one subwoofer, but it achieves surround sound with virtual processing. Since it makes use of Dolby Atmos technology, you can expect 3D, cinema-like immersive sound. Pair that with Sony’s Vertical Sound Engine technology, there is serious depth added to the sound quality. It’s as if sound comes from all directions; movie explosions were realer than real, and the build up towards the plot’s crescendo become more intense even at just a medium volume setting. Turn the volume up a little more higher, and you’re in for a dynamic aural experience. The compact and easy to set up HT-Z9F is the perfect audio solution for consumers who’d like to recreate the cinema experience. Though a 3.1ch setup, its Dolby Atmos and Vertical Sound Engine are great boons for any home, plus it also pairs with a variety of devices. It is a great speaker to have. It does come with a steep retail price of PHP 42,299. Is it worth it? We’ll let you decide. This soundbar is the peanut butter to your television’s jelly.